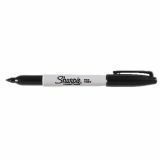 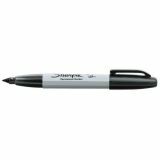 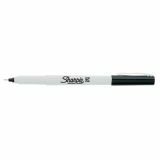 The permanent marker that writes three ways, Sharpie® Chisel Tip Permanent Markers have a versatile tip that makes broad, medium, and fine strokes - so you can express yourself any way you want. 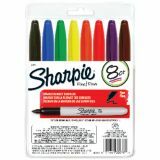 Black, red, blue, green, yellow, orange, brown, purple, aqua, lime, berry, turquoise. 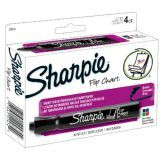 Sharpie Flip Chart Marker with bullet point features bright colors that resist bleeding through paper. The quiet bullet tips glide easily over paper, so your presentations can move as fast as you do. 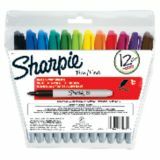 8 color set: Black, red, blue, green, yellow, orange, brown, purple.